A jug is a large container for liquids, with a handle and a small neck, usually made of clay. There was a jug of wine on the picnic table. After Melissa makes apple cider, she stores it in jugs in her basement. Andrew pours maple syrup from a small jug on his pancakes. The chef jugged the beef with root vegetables and red wine. Jugs and bottles are both containers for liquids with narrow necks. 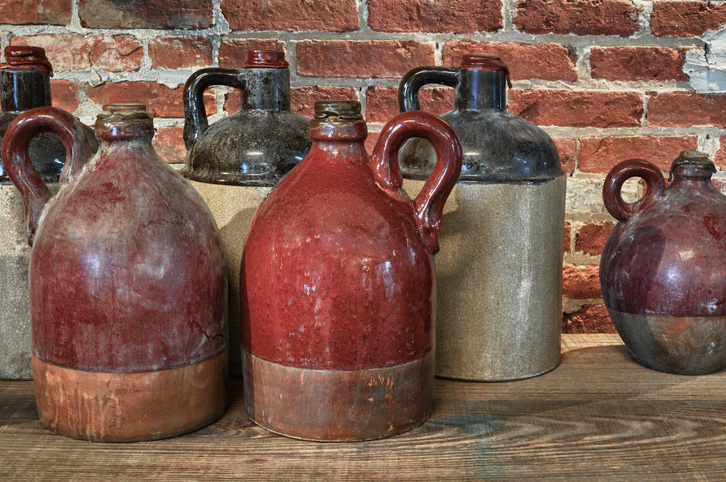 Jugs are usually made of clay and have a handle. Bottles are usually made of glass. Jugs is a vulgar slang word for a woman’s breasts. If you use jugs in this way, the woman will be insulted. There are other meanings of jug.